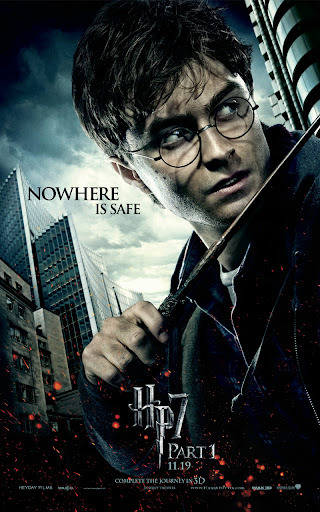 I love these brand new poster / banners for Harry Potter and the Deathly Hallows part 1. 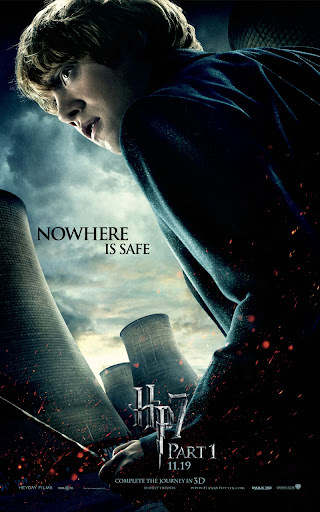 The film will be released on November 19, 2010 in both UK and USA. I wonder when they’ll start previews? less then two month away !! hooooray~!!! I have been remiss. I have only seen the first 2 instalments. But it does promise to be a really good film. Harry has grown up! @ Kathryn: I know! I wish they'd open up ticket sales so I know whether to take off work or not! @ Joy: Oh dear! The books and films are so lovely - you should catch up! 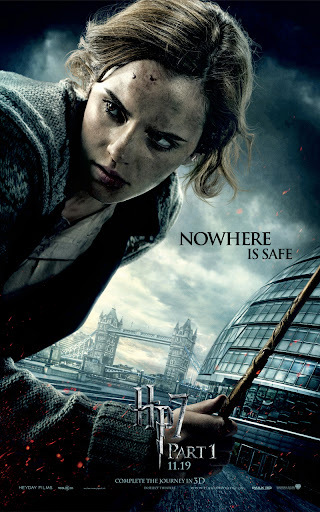 @ Rich: I'm loving everything about Hermione's styling in this film and always love the London landmarks in the films! !